These four mattresses share a single wooden frame. 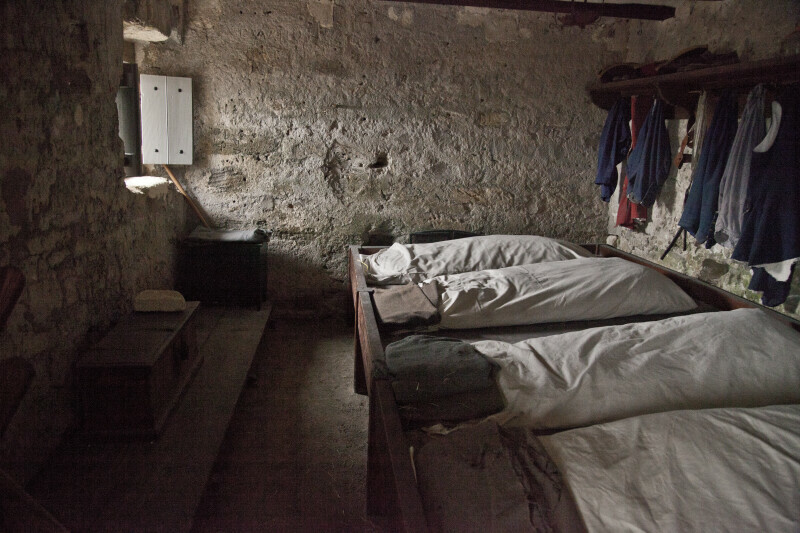 These bunks suggest the sleeping conditions of soldiers stationed at Fort Matanzas. There is a window near the bunks, with an open shutter.